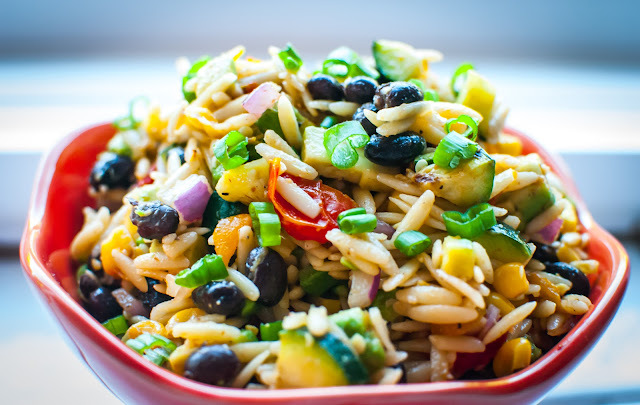 1) Bring 2 cans of chicken (or vegetable) broth to a simmer and cook orzo to the instructions on the package. For me, that was 8 minutes. In the last 2 minutes of the orzo's cook time, add the frozen roasted corn into the chicken broth. If you can't find frozen roasted corn, it's totally fine to use any of the other types of frozen corn. If it's in season and you choose to roast your own corn, then you don't need to add it into the chicken broth and just mix it in with all of the other ingredients later. 2) Drain the orzo and corn and cool completely under running cold water to stop the cooking. 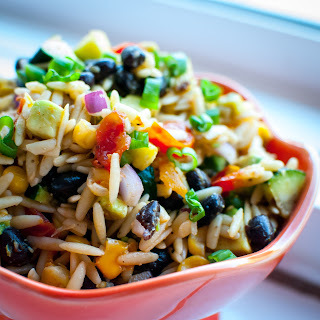 3) When majority of moisture on orzo and corn is gone, transfer the orzo and corn into a non-metallic mixing bowl with the olive oil and stir until everything is coated. 4) Combine with all remaining ingredients. Stir until well mixed. 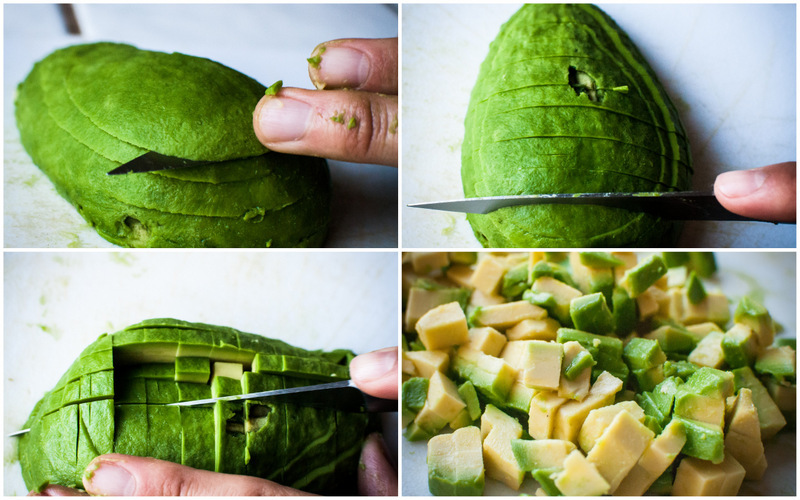 Tip: Here's an easy way to dice avocados. 5) As always, take a bite of your creation and make any adjustments. Remember that too much of a spicy ingredient like sriracha can ruin the dish for some of your guests. Be conservative with it in the dish and leave the bottle of sriracha out on the table for guests who like it spicier.